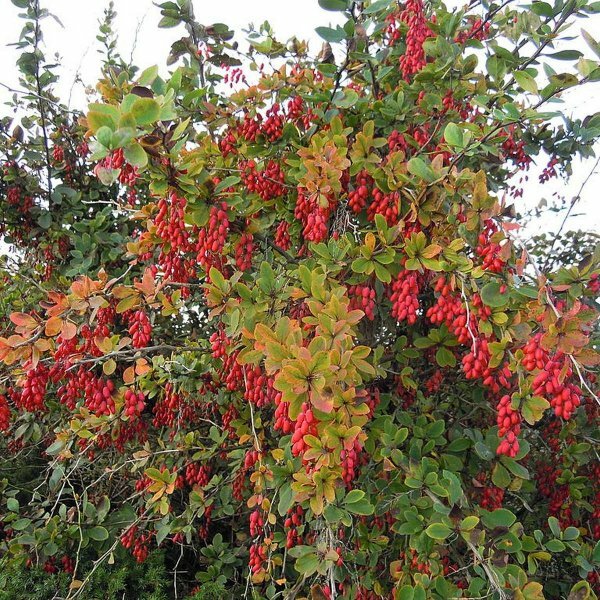 Berberis vulgaris is also known as common barberry, European barberry or simply barberry, is a shrub in the genus Berberis. It produces edible but sharply acidic berries, which people in many countries eat as a tart and refreshing fruit. The shrub is native to central and southern Europe, northwest Africa and western Asia. 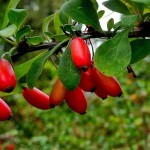 it is also naturalised in northern Europe, including the British Isles and Scandinavia, and North America. In the United States and Canada, it has become established in the wild over an area from Nova Scotia to Nebraska, with additional populations in Colorado, Idaho, Washington State, Montana, and British Columbia. 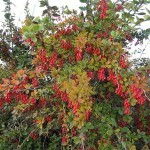 Although not naturalised, in rural New Zealand it has been widely cultivated as a hedge on farms. It is cultivated for its fruits in many countries. Prefers a warm moist loamy soil but it is by no means fastidious, succeeding in thin, dry and shallow soils. Prefers a lime-free soil according to one report. Grows well in heavy clay soils. Succeeds in full sun or light shade. Plants are hardy to about -25°c. A commonly grown ornamental plant, there are many named varieties. Plants can be pruned back quite severely, they resprout well from the base. 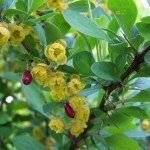 Unlike most other members of this genus, this plant does not usually hybridize with other species. An alternate host of 'black-stem rust' of wheat so it has been extensively grubbed up from its habitats. This species is notably resistant to honey fungus. Germination For faster germination, soak the seeds in slightly hot water for 24-48 hours, followed by 90 days cold stratification before sowing in sterile gardening soil. Keep damp soil, not soaking wet. Keep pot in warm place at +20-+24C.